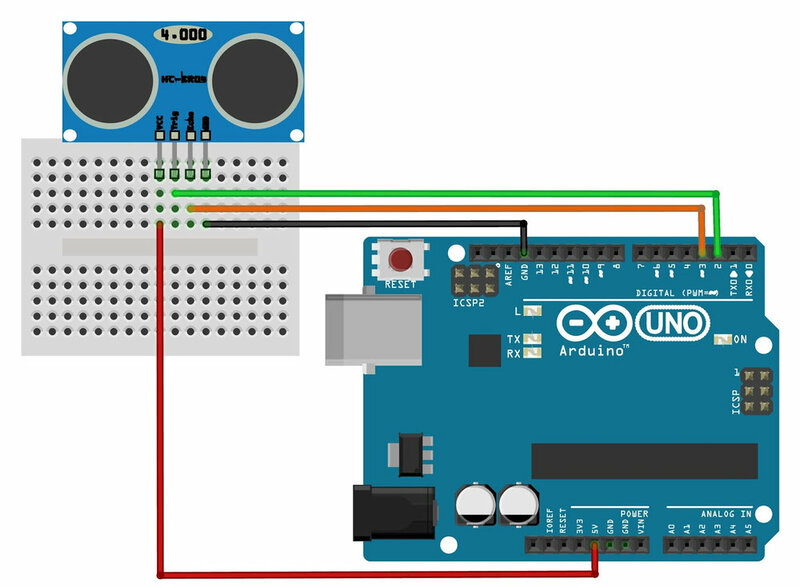 Interfacing serial devices with the Arduino and use of XOD. We will be using the same shield as the first training session (Keyestudio Easy Module Shield V1: see right). This shield contains a passive piezo buzzer that is connected to port D5. Marco Aita has encapsulated the Arduino tone library in a XOD node that can be used to switch on and control the pitch of the buzzer. The Training Session TWO software will be available as a xodball file that can be downloaded from this site. Identify the buzzer node, copy into a patch and experiment with the use of inputs from other devices on the shield, such as the variable resistor and photoresistor. The buzzer provides a useful device for audible alarms. Next, we'll wire up a digital sensor. Demo code for control of the passive buzzer c/o Marco Aita. The DS18B20 chip is a digital thermometer that provides 9-bit to 12-bit Celsius temperature measurements (and has an alarm function with nonvolatile user-programmable upper and lower trigger points). You will be provided with a waterproof sealed unit with a 1M lead. The DS18B20 chip is contained in the stainless steel tip, and communicates over a 1-Wire bus that requires only one data line (and ground) for communication with the Arduino. In addition, the DS18B20 can derive power directly from the data line (“parasite power”), eliminating the need for an external power supply. Each DS18B20 has a unique 64-bit serial code, which allows multiple sensors to be placed on the same 1-Wire bus. XOD provides a node in the "common hardware" library that can read single 18DSB20 devices in a circuit. ...and the code in the Training Session TWO library.